Each one of us is so much more than what we are comfortable talking about. We don’t like to delve into all that has happened to make us the people that we are. Victories, mistakes, surges forward and setbacks; the failures and the near fatal misses; the times we were violated; and the times we have been validated. We are a massive compilation of moments and experiences that have woven us into the unique individuals that we are. The hurts are some of the hardest bits to discuss and mull over and share and use as we help others sift through their ash to find the beauty inside of it. Sharing these things requires that we first sift through our own ash. It’s a messy business and we don’t like walking there. Sometimes we aren’t given the chance for the ash to cool before we must begin the sifting process and this is exceptionally painful. Over the next few weeks, I want to look at pain with a magnifying glass. My own pain and the pain of others inside the ministry paradigm and those observing it from other angles so that we can grow together from different points of view. It’s not a pleasant journey but I think it is one of necessity as we begin to unpack from various positions some things within the church that aren’t right. 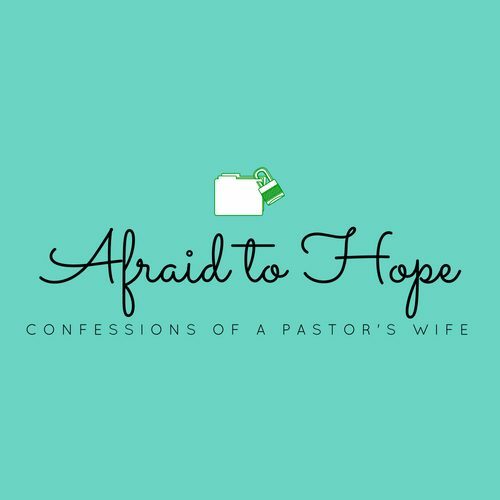 This blog series gets its name from one of the most hurtful conversations I’ve had in ministry. To date I can’t even explain why it hurt me so deeply, but it left a wound that still bleeds to this day. I remember sitting opposite someone I deemed a very close friend who was also a church member. She was sharing some heated frustrations with me about hurts that she felt I had amplified. I remember drawing in a deep, jagged breath before saying, “Church hurts! There is rarely a week that goes by where I don’t get hurt.” Her eyes lit up with a flash of anger before they went hard like glass. She looked me up and down in disgust before flatly saying, “What could you possibly be hurt by?” It was more of a statement than a question and I sat there with my heart in my lap as I mulled over in my head how to respond. Where would I even begin. This was a moment that I realized how utterly alone I was. It was the moment that I lost a friend I realized I never actually had because while she was known to me, I had remained totally unknown to her. Was this her fault? No. Part of it was my own doing and part of it just goes with the territory. I had no idea how to let her in. I had no way of showing her what it felt like to be me because in doing that I would betray the confidence of so many others and I would destroy the world she knew as, “the church.” I realized that I had become some superficial gatekeeper to a world that simply doesn’t exist in the format that most Christians will do anything to keep believing it does. To know and to be known is one of the most basic human necessities yet in the world of ministry we often know a great deal while we remain almost entirely unknown to those around us. This leaves us unsure of who we are or what it is that we’ve become. Ministering to others, if we aren’t careful, can become a dark and cumbersome forest in which we lose our identities. This has never been God’s heart. The pain we feel has been inflicted on us by a culture we’ve bought into that tells us in order to minister we have to be, not all things to all people, but all the things that people want from us because if not the growth of our mega (dream) churches might be stunted. This leaves us with zero boundaries, no identity, and no love for ourselves or those we labor with. The labor that’s supposed to be done for the gospel, is reduced to mere hopes of a bonus, a promotion, a pat on the back, and a lot of disappointment. Many ministers are behaving as eager dogs performing for the table scraps of whoever sits above them in the chain of human command. The side I just described is something I have come face to face with more times than I can count. But there’s a flip side to this coin. The side that those we are ministering to live out. They don’t know their shepherds. They think they do but rarely is this the case and it’s what your ministers and their families are being taught to give you; a filtered view of who they are. Not long ago a pastor’s wife was talking to me and she said “When I move to a new location the first thing I have to do is find a counselor and not a church counselor either. The church can’t know what I tell my counselor. It has to be someone I can be real with. As far as church people go, I remain superficial with them. It’s what keeps me from getting hurt.” Are you seeing it? The cycle that is perpetuated by the enemy to keep any real growth, gospel expansion, and real discipleship from happening? It’s brilliant! I will absolutely give him that. He knows what he’s doing and it’s working but it has to change and this change is a two-way street. Change requires grace and extreme discipline. It requires that pastors look to the truth of scripture for what they are called to be. It requires that laypeople demand nothing less and at the same time grace to allow their pastors and families to be known. Perfection will never be achieved but there has to be a line in the sand. Standards have to be raised on both sides of the coin. There are qualifications for those who are overseers. There are also qualifications for how the body of Christ is to behave and support those who shepherd them. Jesus is the only place that perfection will ever be found and yet he is calling each of us to be holy as he is holy and what’s happening in churches across American is not holiness. It’s a two faced, people pleasing, prosperity gospel that makes much of man and I for one have seen enough. So the question is, “what could you possibly be hurt by?” Inside the answers to this question I pray that we find truth and a way forward out of this rut that is what modern day American church has become. May we have eyes to see and ears to hear what the Lord has for us. On both sides, whether minister or congregant, let’s move forward together! Let’s stop being superficial and let’s stop with the personal demands. It’s not their church or my church or any big name person’s church. It’s Christ’s church and our body. Let’s reform ourselves in the image of Christ and all that he has for us in his body. I look forward to walking this series with you as we sift through the ash for beauty!